So, the Mueller report is released, but not really released. We have a four-page summary written by a guy who owes his job to the guy who the four-page letter exonerates. And the guy who wrote the four-page letter went into his job having established that the guy who appointed him couldn’t be guilty of obstruction of justice. 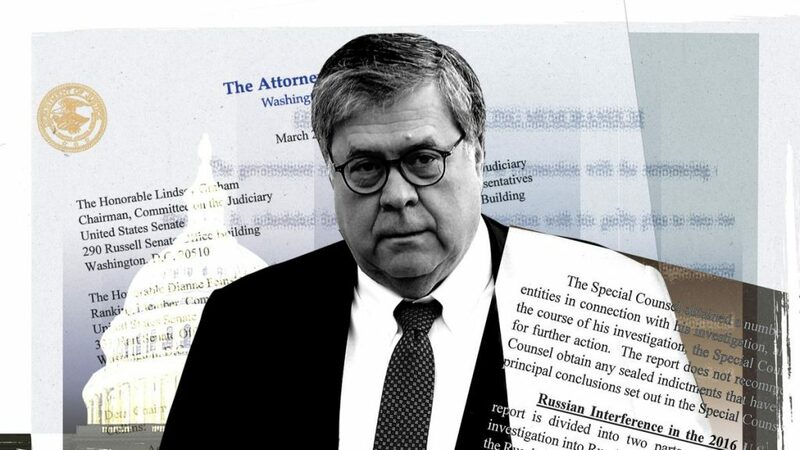 We’re told we may eventually see some of the real Mueller report, a document assembled over a two-year period during an investigation that established beyond a reasonable doubt that Russia interfered in an unprecedented way in the 2016 election. That investigation resulted in the indictment or guilty plea from 34 individuals and three companies. Not exactly a run of the mill definition of a “witch hunt,” but we must be very careful says the attorney general (seconded by the Senate Majority Leader) not to tell the public too much about such sensitive matters. In the last few days we’ve witnessed merely the latest example of the American penchant for secrecy. Idaho Senator Jim Risch quickly embraced the attorney general’s four-page summary as the definite word on all things Trump and Russia. 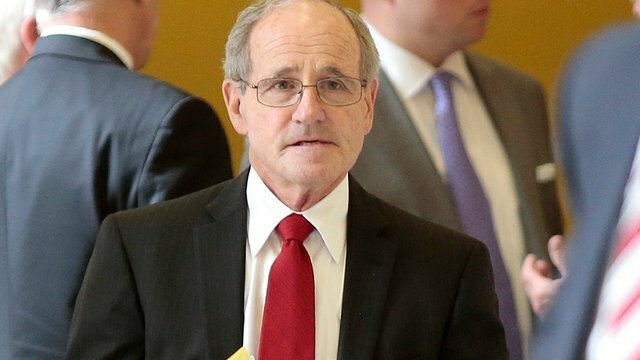 “For me, there was no news in Mueller’s report,” Risch said in the statement, passing judgment without having seen the actual Mueller report. “We have reviewed thousands of documents including dozens of witness statements throughout the Senate Intelligence Committee’s investigation, and I reached the same conclusion as Mueller,” Risch says with absolute certainty. “President Trump did not collude with the Russians.” Fair enough, but what about the rest of the report, a document the Justice Department has described as “comprehensive?” The Clift Notes are good for cramming for a test, but real understanding means reading the actual text. By the way, a poll from Quinnipiac University found that 84% of voters they surveyed think Mueller’s report should be made public, while only 9% disagree. This kind of secrecy rarely happened in the past. 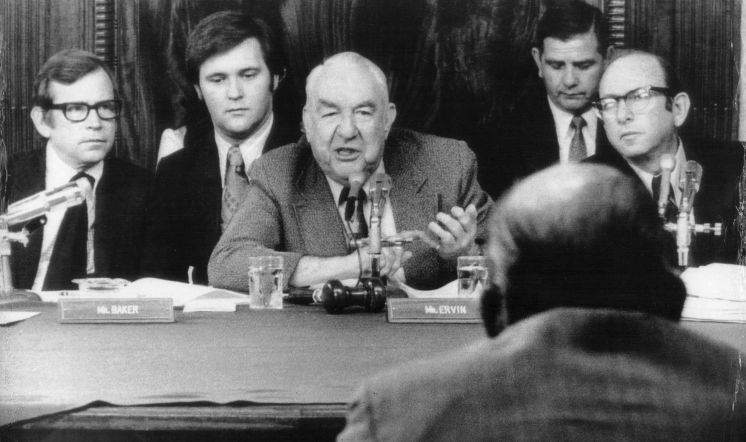 The Teapot Dome scandal and the Watergate hearings were held in full public view. The penchant for congressional secrecy has increased in parallel to the penchant for extreme partisanship. The intelligence agencies are among the worst at overdoing secrecy and the congressional committees overseeing the agencies now routinely aid and abet the lack of transparency. We are assured that every thing is under control, while a senator bent on secrecy in service to partisanship can conveniently say – Risch does this all the time – that he has secret information that proves his partisan position. 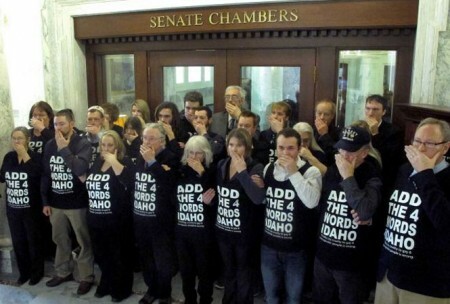 The Idaho Legislature is hardly immune from this epidemic of government by secrecy. Lawmakers have been debating legislation that would essentially do away with the ability of citizens to place an issue on the ballot and the origins of the awful idea to gut the initiative process has in no way seen the light of day. Increasingly what happens in public view during the lawmaking process is pro forma, developed and rehearsed in a back room and sanctified in public procedures that appear to include citizens, but really only involves the public as a prop in the process. Government secrecy is endemic, but even more it’s dangerous. As Frederick A.O. Schwartz has written – he was the chief counsel for the Senate Committee that investigated the intelligence agencies, the Church Committee – we need to understand the cost of all this secrecy. And while we’re thinking about secrecy, ask yourself what the last two years might have been had a certain political figure accepted the tradition that has existed since Richard Nixon, a tradition now shattered, of a president being transparent about his tax returns? The journalist and social critic H.L. Mencken was made for the Trump era. Unfortunately Mencken, a guy given to using words such as buncombe, knaves, fanatics and fools in his Baltimore Sun columns and magazine articles, died in 1956, no doubt convinced that a Trump-like character was in the country’s future. Not many Americans remember Mencken these days even though he was once the best-known journalist – and the most full-throated cynic – in the country. Mencken was an equal opportunity basher of politicians. One suspects he would have loved the daily business of scraping the hide off our current crop of Democratic presidential hopefuls and he would have had an absolute field day with our deranged national tweeter. In 1920, while Republicans and Democrats jockeyed for position and the chance to succeed President Woodrow Wilson, Mencken took on the entire field. He might have been writing about Beto or Biden or Bernie. We can only imagine what the Sage of Baltimore would have made of Trump and the president’s whooping mob, but charlatan was one of his favorite words. Fraud was another of his prized descriptions. I got to thinking about Mencken this week after the most powerful man in the world spent most of last weekend attacking a decorated Vietnam veteran, prisoner of war and one-time Republican presidential candidate on social media. “I was never a fan of John McCain and I never will be,” the man with many grievances told us once again, seven months after most decent people came together, at least for a moment, to mourn one man’s courage and patriotism. Henry would have mocked such idiocy, such buncombe, such complete claptrap. What would one of America’s great social critics have made of the president’s daughter working in the White House while piling up patent approvals with a country we’re engaged with in a trade war? And what of the president’s grifting son-in-law, denied access to state secrets because he’s so clearly susceptible to – there’s that word again – fraud. And what of a political system that tolerates the nation’s chief magistrate maintaining a government lease on a gaudy hotel where every shade of influence seeker pays the rent knowing that their dollars flow directly to the cheater, the conman at the top? What a load of unmitigated rubbish. Henry Louis Mencken often bemoaned the American predisposition to be hoodwinked by shameless scoundrels. A favorite target was a prominent populist blowhard of his day, William Jennings Bryan, although unlike our own prominent populist blowhard Bryan had some genuine principles. 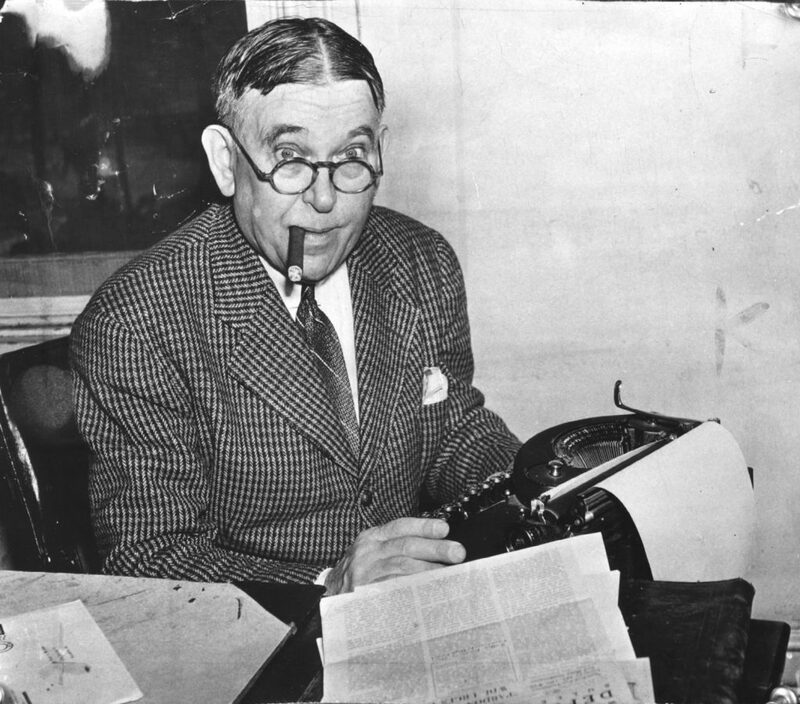 Nevertheless to Mencken the three-time presidential candidate “was a vulgar and common man, a cad undiluted … [and] ignorant, bigoted, self-seeking, blatant and dishonest.” He could have been writing for tomorrow’s paper. “A culture,” the conservative writer Peter Wehner wrote this week in The Atlantic,“lives or dies based on its allegiance to unwritten rules of conduct and unstated norms, on the signals sent about what kind of conduct constitutes good character and honor and what kind of conduct constitutes dishonor and corruption.” By those standards, or better yet by the decline of standards observed long ago by a Mencken, we have ceased to progress as a culture. We’re settling for buncombe when we might better demand brilliance, or at least competence. On July 7, 1938, three avid Idaho outdoorsmen — R.G. Cole, Homer Martin and Dan McGrath — walked into the Idaho Secretary of State’s office in Boise. They were packing petitions containing the signatures of more than 24,000 Idahoans who were fed up with inaction from the Legislature. The three hook and bullet enthusiasts used a statewide grassroots organization and old-fashioned shoe leather to accomplish what the Legislature had repeatedly failed to deliver — professional management of Idaho’s wildlife resources. When their initiative went before the voters in November 1938, it passed with 76 percent of the vote. That’s how Idaho got its independent Fish and Game Commission 81 years ago. The volunteers who cared about hunting and fishing would not have had to force the issue and voters would not have had to call the Legislature’s bluff, of course, if lawmakers had been listening. But they weren’t listening. The state Senate twice voted down proposals to create a fish and game department in the 1930s. And as far back as 1915, the otherwise commendable Gov. Moses Alexander vetoed a proposal to remove wildlife management from partisan politics. Ultimately the voters got a belly full and took action just as the Idaho Constitution envisioned. Voters did the same thing in the 1950s when they limited dredge mining of the state’s rivers and in 1970s when they created the state’s Sunshine Law, mandating disclosure of campaign contributions and expenditures. Voters bypassed the Legislature in 1978 and passed a property tax limitation. They did so again in 1982 when they created the homeowner’s tax exemption. In every case citizen action came after the Legislature diddled. Now comes the self-righteous Republican legislative supermajority to try — again – to make it virtually impossible for their constituents to put an issue on the ballot. The number of signatures required to make the ballot could increase by more than half and the time to collect those signatures could shrink from 18 months to six. Republican Sen. C. Scott Grow’s bill would also require a significant number of voters to sign petitions in 32 of the state’s 35 legislative districts. Hearings resume today on Grow’s abomination, a piece of legislation that can only properly be called an effort to create such sweeping impediments to citizen initiatives and referendums as to destroy what the Idaho Constitution promises. Here’s betting that the fix is in and GOP legislators will again blithely disenfranchise voters. State Sen. Patti Ann Lodge of Huston, the Republican chairwoman of the State Affairs Committee, likely tipped her hand regarding the fate of Grow’s proposal when she cut off a hearing last week after just 45 minutes of testimony, while dozens of Idahoans opposed to the measure sat waiting to voice their disapproval. Now, that’s democracy in action in Idaho. It’s also telling that the only supportive testimony before Lodge’s committee came from the Idaho Farm Bureau, an outfit that exists primarily to put a rock on the NO button of Idaho politics, and the ill-named Idaho Freedom Foundation, a hard right-wing collection of anti-government zealots who sued unsuccessfully to stop the recent voter-approved expansion of Medicaid coverage for uninsured Idahoans. In the “irony is dead” department was the testimony of the Freedom Foundation’s lobbyist, who said draconian changes to the initiative process were necessary to ensure “transparency,” an interesting line of argument from an outfit that steadfastly refuses to disclose which right-wing billionaire bankrolls its propaganda. As Mark Twain famously quipped: “History doesn’t repeat, but it does rhyme,” and Michael Lanza, the Boise outdoor writer and photographer who led the successful fight to overturn the notorious “Luna Laws,” has seen it all before. After then-Idaho state schools Superintendent Tom Luna rammed controversial “education reform” measures through the Legislature in 2012 and Gov. C.L. “Butch” Otter eagerly signed them into law, Lanza and a coalition of parents, educators and business leaders got organized. They collected the signatures needed to put three measures to overturn Luna’s handiwork on the ballot. Each passed overwhelmingly, with one clearing 66.7 percent of the vote. The GOP Legislature, of course, immediately moved to make such effective and decisive citizen action much more difficult by upping the requirement to gain ballot access. Now they are at it again proposing even more drastic action. In such an environment, Lanza correctly says, having the option for a citizen-initiated process to ensure accountability couldn’t be more important. You don’t have to hang around the halls of the Idaho Legislature very long — 15 minutes should do it — before you hear some safely insulated right-wing Republican lawmaker voice the old trope that “the best government is that closest to the people.” That is one of the great myths of Idaho politics. Majority party lawmakers utterly abhor citizen involvement in their government. They limit hearings all the time. They refuse to enact meaningful ethics legislation. They routinely strip local governments of basic decision-making authority. And barring a genuine citizen revolt or a veto from Gov. Brad Little, they will almost certainly gut the ability of Idaho citizens to put an issue on the ballot. Republicans have now fully embraced autocracy in the White House, but they have long enjoyed pushing around their voters in the Statehouse. Stripping constituents of access to the ballot is nothing less than the ultimate insult to democracy. By all appearances Idaho State Senator Brent Hill, the Rexburg Republican who is the president pro tem of the state senate, is a thoughtful, nice guy. He runs the state senate with a light tough, frequently invoking a “come let us reason together” demeanor. He seems far removed from the angry, fearful, resentful base of the Republican Party in the Era of Trump. Yet, Hill’s recent decision to shelve again for another year any legislation that would extend human rights protections to Idaho’s LGBT community is, sadly, very much in keeping with current GOP orthodoxy of marginalizing communities that fall outside the party’s fearful, overwhelmingly white, religiously conservative base. Hill is practicing, or more correctly allowing to continue, the old conservative politics that preach that “the time is not yet right” to bring full human rights protections to fellow citizens too often left in the dark shadows of discrimination and hatred. Protesters at the Idaho State Capitol in Boise pressing the legislature to “add the words” to protect LGBT citizens under the state’s human rights law. In a recent op-ed calling for more talking and no legislative action again this year, Hill struck what seems on the surface to be a moderate, caring tone. No doubt he meant to strike such a tone, but his language is as disappointing as it is misleading. We just need more time. More time to talk. More time to reason. More time. More time. Brent Hill surely did not intend for his manifesto for more talking to echo the calls of many religious leaders of the 1960s who counseled Dr. Martin Luther King, Jr. to go slow in the pursuit of civil rights for African-Americans. Hill perhaps didn’t intend to imitate those who counseled King to slow down, but he did just that. And King’s answer in 1963 remains today’s best answer to those, like Senator Hill, who counsel delay rather than provide moral leadership. 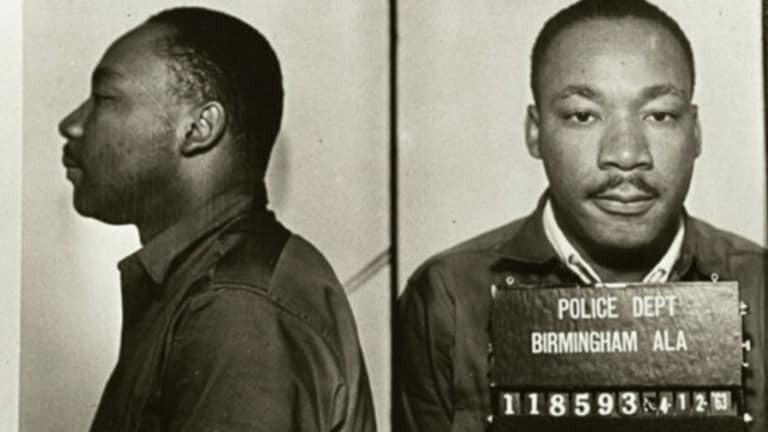 “We know through painful experience that freedom is never voluntarily given by the oppressor; it must be demanded by the oppressed,” King wrote from the Birmingham jail where he was imprisoned for demonstrating not for “a balanced approach,” but for immediate justice and equality. Currently the Idaho Human Rights Act provides statutory protection for someone with strongly held religious beliefs, but a LGBT citizen has no protection under the law from discrimination related to employment, housing, public accommodation, and education. And Senator Hill must know the argument that someone’s religious beliefs should allow them to deny another person’s fundamental human rights is, unfortunately, as old as America’s long toleration of racial hatred and as wrong as segregation. As Dr. King knew – and died proving – rights are not merely granted they are won through demands and political action, including shaming the reluctant and those who counsel patience. Unfortunately, slow rolling before doing the right thing is part of Idaho history. Idaho was very late in adopting a day honoring Dr. King with some arguing as recently as 1990 that the country’s greatest civil rights warrior was a troublemaker unworthy of celebration. It took four tries to adopt legislation authorizing kindergarten in the 1970s and now the fearful, resentful caucus stalls legislation to begin to provide pre-K education. Republicans can’t even agree on a measure outlawing child marriage. Not liking that voters can actually put issues on the ballot and pass them into law Republican Senator C. Scott Grow of Eagle would make Idaho’s already extremely difficult initiative process next to impossible by adding new requirements for signature gathering. Grow talks about his proposed limitations on citizen political action as though it were a mere tweak of the law that implements what is embedded in the Idaho Constitution. His argument is flimsy and dishonest. Grow is proposing a fundamentally undemocratic measure designed not to empower citizens, but to diminish them. Other lawmakers would happily thwart the overwhelming will of Idaho voters by imposing conditions on access to medical care. Make no mistake, the Idaho Republican Party, the party that has embraced a leader who, as conservative columnist Michael Gerson has written, “has made the denial of dignity to certain people and groups a political rallying cry,” is acting true to form. Year after year, the party purposefully denies basic human rights to a sizeable group of Idaho citizens because they can’t get beyond their own intolerance. To give into such fear, resentment and old-fashioned bigotry, particularly in the guise of protecting religion, is an odious failure of moral leadership. It takes courage, an attribute often lacking particularly in a one-party state, to stand up and be counted on what simply amounts to doing the right thing. Imagine if Brent Hill, a widely acknowledged decent and intelligent politician, would put the moral weight of his powerful position behind pulling Idaho forward to the benefit of thousands of his fellow citizens? Would he catch some grief from the fear mongers and haters on the far right? Of course he would. He should wear that pushback as a badge of honor. Delay can be comfortable for those who know no discrimination. All politicians display a certain level of confidence. It goes with the territory these days. The humble, self-effacing public servant is a relic of American political history, if indeed it has ever existed. But Risch has raised self-assurance to a new level, unlike anything Idaho has seen, well, ever and it’s gotten him into trouble. You have to wonder why? 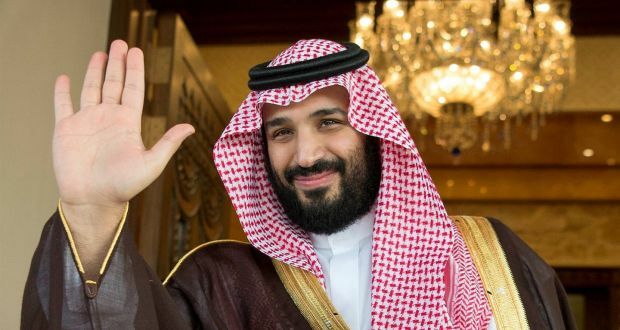 Why has Risch worked so hard to shield the president from confronting the murder of a journalist, a murder the nation’s intelligence agencies have placed squarely at the feet of Saudi Crown Prince Mohammed bin Salman? Why are fellow Republicans like Lindsey Graham, Marco Rubio, Chuck Grassley and Mitt Romney confronting the administration over reprehensible Saudi behavior, while Risch has been carrying Trump’s water on both shoulders? Remember that Trump has said of the Crown Prince, a pal of his son-in-law, that “maybe he did and maybe he didn’t” order the journalist’s murder. Asked by veteran journalist Tim Sebastian whether he agreed with Graham’s characterization that there “was zero chance” that bin Salam had not ordered Khashoggi’s murder, Risch spun into a linguistic tap dance, first refusing to answer whether he agreed with the South Carolina senator and then invoking secrecy. “I’m on the Intelligence Committee,” Risch said, “Lindsey isn’t. I’ve looked at every scrap of evidence there is on [Khashoggi’s murder] and unfortunately because of my position on the Intelligence Committee I can’t sit here and reiterate that for you, and in that regard I can’t comment on that.” Risch then said he could comment on the 17 Saudi nationals sanctioned by the U.S. government, but apparently his opinion about the Crown Prince is classified. Again the question is why? Does Risch so value his access to the White House that he won’t summon moral outrage at the murder of a journalist whose body was dismembered with a bone saw and has still not been found? Why was he willing to launch his chairmanship by alienating fellow Republicans who must increasingly see him as an apologist for the heinous? Is Risch so concerned about a primary challenge from the far right that there is no “red line” of support for Trump that he will not cross? In the same period that the senator was covering for the president and the Saudi Crown Prince he was effectively dismissing concerns about Trump campaign involvement with Russia. “It is simply not there,” the former prosecutor explained of his reading of Trump-Russia collusion. That certainty comes even as we now know that Paul Manafort, the convicted former Trump campaign chairman, was meeting with Russian operatives and sharing polling information literally while Trump was securing the GOP nomination in 2016. Put that comment in context and again ask yourself why? On July 27, 2016, then-candidate Trump looked straight into television cameras in Florida and said, “Russia, if you’re listening. I hope you’re able to find the 30,000 emails that are missing” — messages Hillary Clinton was said to have deleted from a private email server. And ask yourself why wouldn’t the chairman of the Senate Foreign Relations Committee want to get to the bottom of that and so much more?